Over the past few decades, marijuana has become a new normal for most of the people. Although the magical plant isn’t new to humans as the use of marijuana has been seen in the very early Chinese civilization when humans just started to write, the popularity has increased only over a past few decades. The legalization of marijuana has also given a push to the popularity of the cannabis plant and that’s why more and more people have started using it. The same popularity which made marijuana a new normal for most of the people is also responsible for widening the range of cannabis products and the ways to consume it. Most people think that all the products of marijuana will get you high since it contains THC which is responsible for giving you a psychoactive effect. The hemp oil also falls in the same category of misconception in which all the products of cannabis get you high. But that’s not true in the case of hemp oil. Most of the people think that cannabis can’t have both non-psychoactive hemp and psychoactive marijuana and that’s why most of the people think that all the products of cannabis plant will get you high. The two plants of cannabis; hemp and marijuana are actually cousin plants but you should be well aware of the fact that hemp oil can’t get you high since it is non-psychoactive and contains a negligible amount of THC which is responsible for getting you high. Most of the benefits of the cannabis plant are because of the cannabinoid oil obtained from the plant, not from the THC. The THC is mainly used for recreational purposes because it has a psychoactive effect which gives the user a feeling of euphoria. So it doesn’t matter how you consume the hemp oil or which type of hemp oil you are using, the basic answer to the question ‘Does hemp oil get you high ?’ is, you will never get high from hemp oil consumption. The CBD and the THC work against each other and if a plant is containing any of these two compounds in abundant then it will cancel the effect of others. The hemp oil contains around 0.3% of THC so even if you start up smoking the hemp along on a regular basis, you won’t feel anything rather than a bad migraine. In fact, there is a very famous saying about hemp oil; you can smoke a joint equal to the size of a telephone pole and still can’t get high. 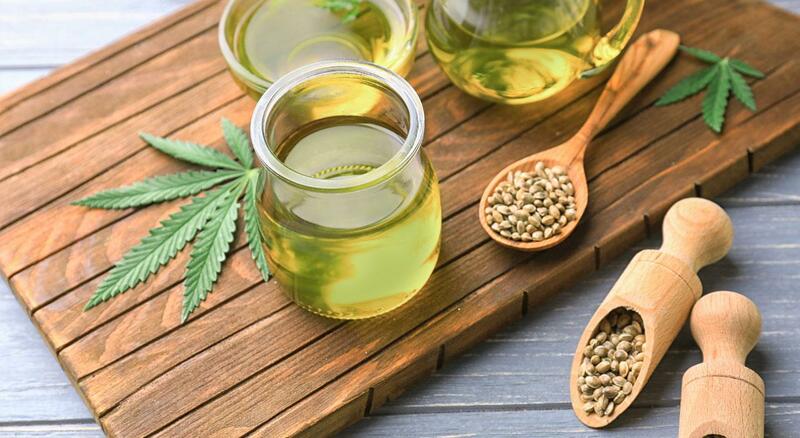 Because of the presence of various chemical compounds like fatty acids, hemp oil has been found to be very useful for treating various ailments like diabetes, anxiety, physical pain, fibromyalgia, etc. So, if you are thinking that ‘Does hemp oil get you high?’ and worried about the psychoactive effect of this organic remedy then you need to break the boundaries of myth and step in the world beneficial use of hemp oil.